In the past, it seems like the only good travel information was in guidebooks and magazines. Now, there are a number of writers and bloggers that are issuing first-class travel eBooks. For many, these eBooks are rapidly becoming the go-to source for travel information. 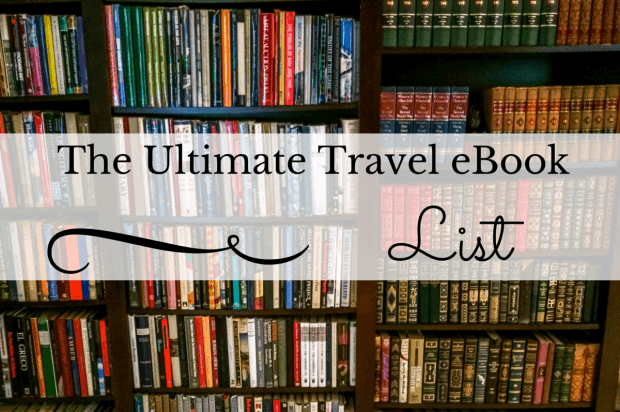 This Ultimate List of Travel eBooks is a comprehensive list of the best eBooks out there. Download to your favorite reading platform and enjoy! 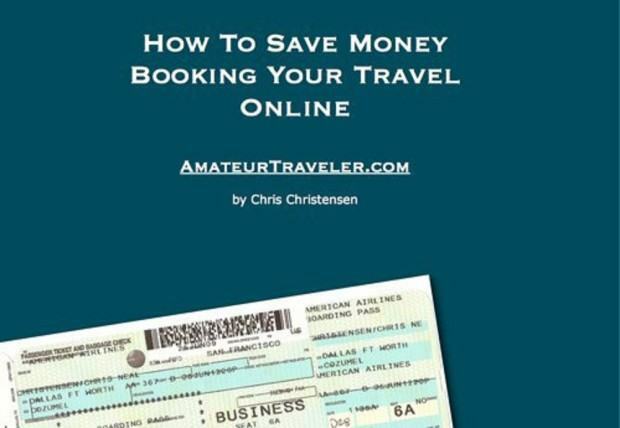 Derek Earl Baron from Wandering Earl $27.00 How to Live a Life of Travel If you’re looking into turning your travel habits into a lifestyle and you’re not quite sure how to make it happen, this guide will teach you everything you need to know. Shannon O’Donnell from A Little Adrift $15.42 The Volunteer Traveler’s Handbook This Handbook guides new and veteran travelers through the challenges of finding, vetting, and choosing their ideal volunteer experience. Anil Polat from Fox Nomad $8.00 Overcoming The 7 Major Obstacles To Traveling The World Learn step-by-step what you need to know to travel the world in your terms. Sofia Von Porat and Nathan Schacherer from As We Travel $4.95 Step-By-Step Round The World Travel Guide No more worrying that you missed any important trip details. This ebook is designed to guide you through different steps so you can prepare every area of your next trip. Janice Waugh from Solo Traveler $15.29 The Solo Traveler’s Handbook 2nd Edition This how-to manual will help you venture out with confidence to discover yourself as you discover the world! 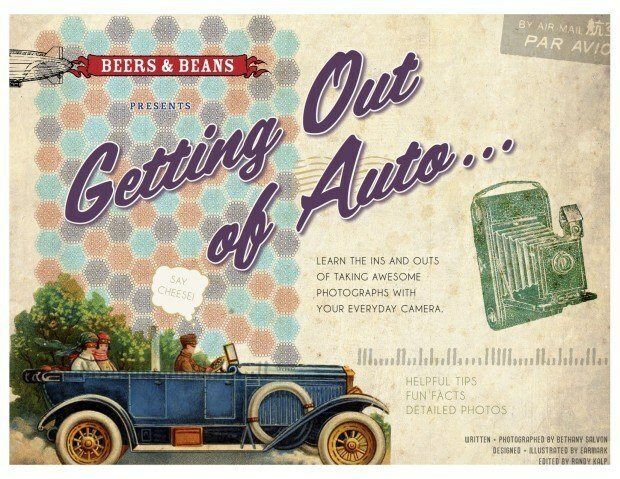 It offers stories and tips on solo travel fun and safety. Zara Quiroga from AZ Backpack ME $9.99 Lisbon in 100 Bites, 2nd Edition An uncomplicated and fun introduction to Portuguese food. This is your guide to the best eats in and around Lisbon! Noah Lederman from Somewhere Or Bust Free Misadventures in Southeast Asia Laugh at the author’s expense as he shares humorous stories from travels in Southeast Asia. Noah Lederman from Somewhere Or Bust $2.99 Traveling the Cambodian Genocide A collection of travel essays, moving personal stories and stunning photography visiting the unexplored sites of the Khmer Rouge. Nora Dunn from The Professional Hobo $12.30 Tales of Trains: Where the Journey is the Destination The Journey is the Destination – covering over 42,000 kilometres of train travel through 11 countries, in 44 days (in two concentrated stints over a period of two years). David Lee from Go Backpacking Free Dare Me! Entertaining family, friends and readers with 17 dares in exchange for free beer and cash donations during his round the world trip in 2007-2009. 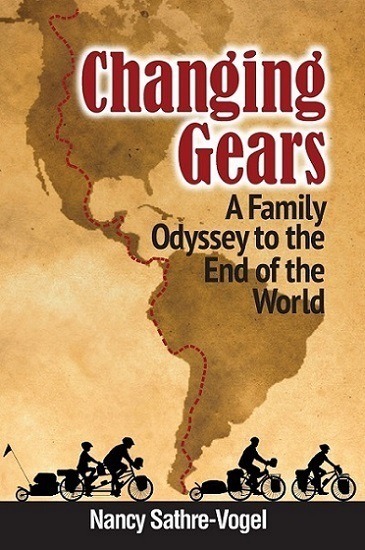 Nancy Sathre-Vogel from Family On Bikes $15.21 Changing Gears: A Family Odyssey to the End of the World This encouraging tale about a family on the adventure of a lifetime – riding their bikes from Alaska to Argentina, will inspire your travel dreams. Nancy Sathre-Vogel from Family On Bikes $7.99 Twenty Miles Per Cookie: 9000 Miles of Kid-Powered Adventures “What do you get when you take two burned out schoolteachers, their 8-year-old twins, a regular bike, and a bicycle built for three?” 9000 miles of madness. Nancy Sathre-Vogel from Family On Bikes $14.13 What Were We Thinking? : Bicycling the Back Roads of Asia Learn how two strangers teamed up for a once-in-a-lifetime journey that taught them that underneath all different cultural traditions, people are pretty much the same everywhere. Matt Stabile from The Expeditioner $10.66 The Expeditioner’s Guide to the World: Intrepid Tales of Awesomeness from the Open Road True tales will not only take you on daring adventures across the globe, but they will make you laugh too. Mariellen Ward from Breathe Dream Go $8.44 Song of india: Tales of Travel and Transformation A collection of 10 travel stories inspired by the Rajasthan desert, India’s most sacred river, the Himalayan mountain range in Darjeeling, the river in Varanasi, and much more. Essays on quitting her job, meeting her husband, exploring South East Asia, living in China and more. Chris Backe $4.99 3 Days in Bangkok – a complete itinerary to the City of Angels Make the most of your time in Bangkok, Thailand. Chris Backe $4.99 3 Days in Chiang Mai – a complete itinerary Thailand’s second city charms almost every tourist that visits into a longer-than-expected stay. Chris Backe $4.99 3 Days in Vientiane The best of what Vientiane has to offer. Chris Backe $9.99 7 Days in Northern Thailand – a complete itinerary to Chiang Mai, Chiang Rai, and Lampang The most comprehensive itinerary to northern Thailand. Chris Backe $4.99 An Introduction to Thailand Presenting a complete introduction to Thailand for any tourist. Chris Backe $4.99 3 Days in Bangkok Here are 35 of Bangkok’s most interesting sites spanning days of travel. Agness Walewinder and Cez Krol from eTramping $9.99 Travel Blogging: Build Audience, Improve Rankings and Earn Money By sharing their experience, techniques and knowledge, you’ll learn how to audience, improve your rankings, and earn money. If you have a travel eBook or are aware of other great travel ebooks, please contact us with the relevant information and we’ll look into adding it. Note: Some links may be affiliate links, which means Travel Addicts may earn a few pennies if you buy something, which helps offset our costs of web hosting – all at no additional cost to you.